The handling and packing of delicate and high-value items requires specialized knowledge and experience. Our Master Crater works onsite, continuing the legacy of the finest NY craters. 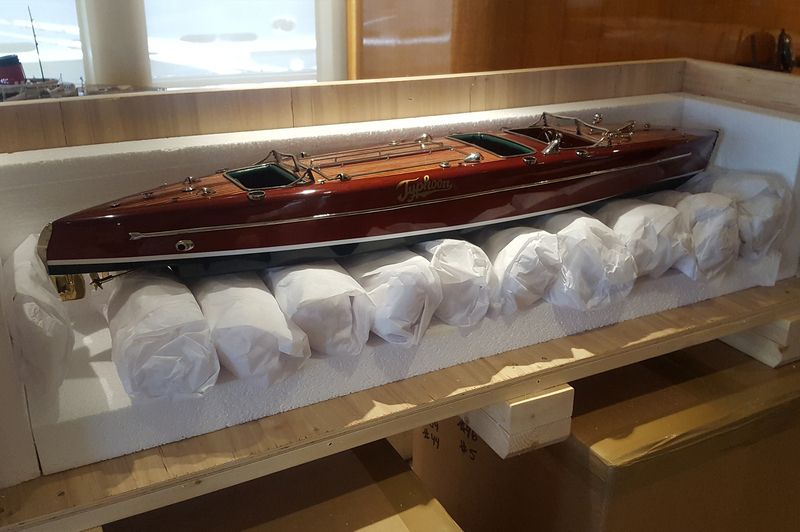 Our experienced staff will ensure that your precious objects are packed in the most secure manner possible. 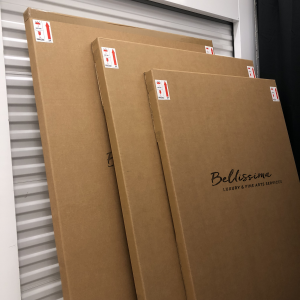 Bellissima Luxury & Fine Art Services offers expert Packing & Custom Crating. Our experienced team has over 40 years of combined experience and has been chosen as the provider of choice for some of the most important collections, furnishings and high-value objects across South Florida. 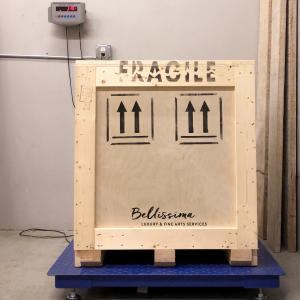 With an onsite crate shop located in our facility, Bellissima can provide a crating solution that fits every client’s needs. 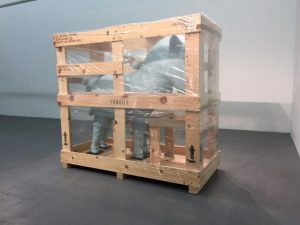 From the highest quality museum crate to the most economical one-way crate, Bellissima offers a complete range of crating options. Multi-use gallery crates are designed for safe and economical transport multiple times for a work of art. They are extremely customizable, perfect for works that require special packing & protection! 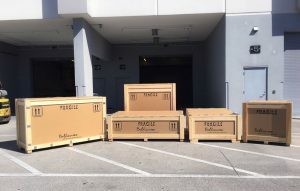 Museum crates are fully customized to museum specifications and designed for long term durability. Slat crates are designed for 3-Dimensional objects and decorative arts in which climate control transport, with limited handling is involved. 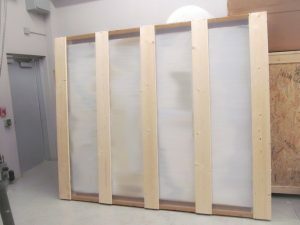 Travel frame crates are designed to transport works of which the surface cannot have any contact, even with soft-wrapping materials. Custom boxes are used to safely and economically transport less delicate, lighter items which do not need to be crated. Our highly skilled professional staff undergoes continuing education and training, and we maintain strong partnerships with leading conservators and museum professionals to remain up to date on state-of-the-art materials, procedures and packing techniques. 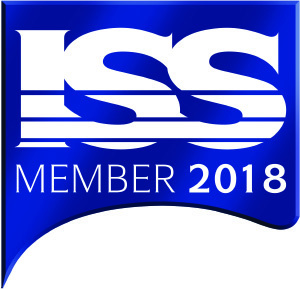 This expertise allows us to better serve our clients, and to advise on the most efficient, cost-effective and secure packing and shipping solutions available. Specialized transportation vehicles with air-ride suspension, climate controlled cargo areas, lift gates, and secure GPS monitoring. 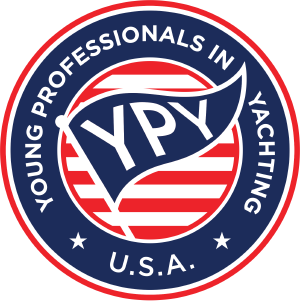 Specialized hardware for travel frames, crate enclosure systems, and installations. Very fragile, antique and delicate objects require extra care and protection when packing for transit or storage. Our art handlers are experienced in handling the most fragile objects such as stemware, china or heirlooms and use state of the art packing materials. The proper storage of valuable and investment-grade wine requires both expertise and a remarkably stable climate-controlled environment. Fortunately, for wine collectors, Bellissima Luxury & Fine Art Services excels at providing both. Valuable wines are properly packed andx transported in our climate controlled air ride truck, to a secure state-of-the-art vine vault with security and redundant refrigeration systems. Linked to a backup generator, the cooling system is designed to be fail proof and will run at full capacity in the event of a power outage. The vault environment is impeccably maintained at ideal temperature, humidity and lighting levels. We Whether you are preserving your current collection, seeking to expand your investment, or wish to afford additional protection for your “liquid” assets, call us today to reserve your wine vault or schedule a pickup.